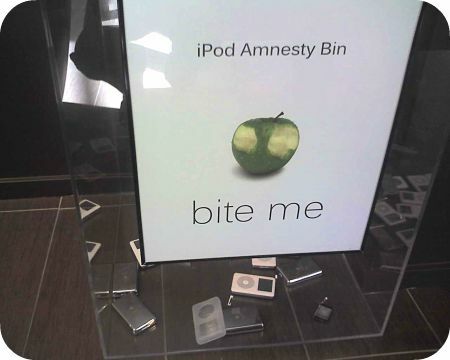 Rex Sorgatz of MSNBC recently spotted an iPod Amnesty bin outside a Microsoft office that houses the Zune team. You do see some old iPod models lying inside the box but could be just another "interesting" joke. Microsoft is close to selling over a million Zune digital music players while Apple iPods have already crossed the 100 million mark in April this year. Obviously, Zune has failed to make any significant dent into the iPod marketshare and this Google Trends graph narrates a similar tale. 20% Free Time - The Biggest Threat to Google ? Where to Download Movies, Music or TV Shows ?